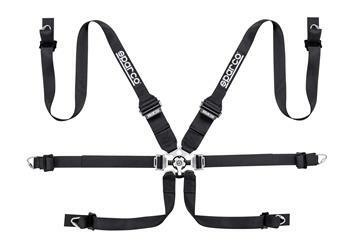 Sparco Competition Harness - 6-Point RHPD UNIVERSAL - Lesher Motorsports, Inc.
Six-point safety harness with 3”+2” straps for FHR and HANS Device systems. Lightened carabiner fixings. 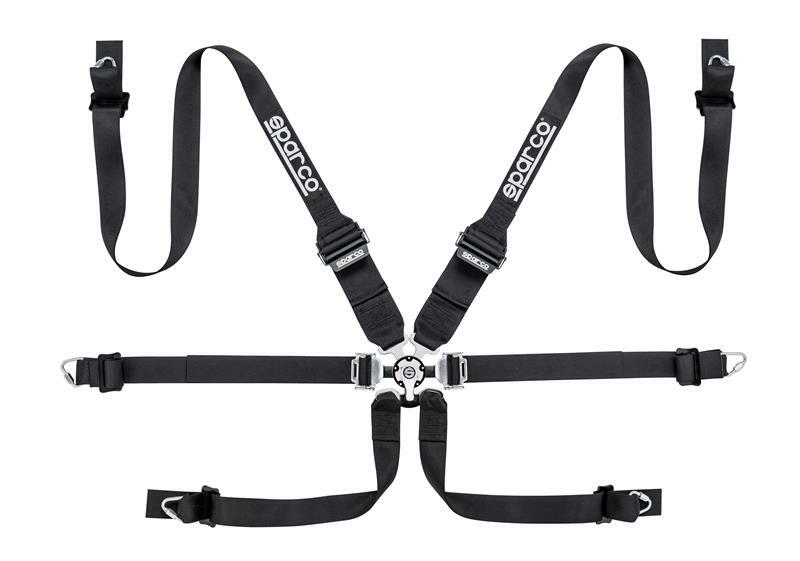 Abdominal Pulldown Club GT type adjustment on the buckle to reduce the space involved on very narrow seats T-type thigh harness fastening with 3 bars to facilitate quick adjustments during changes of driver.